The Surfari is the search for your perfect wave and is almost as central to the lifestyle as having a board. All over the world surfer's VWs can be seen driving the coast roads stopping to check conditions at surf spots. Within 2 hours of our base there are over 100 surfing beaches, there are 6 within 15 minutes, each with their own individual character and there's only one way to find your favourite... at the wheel of one of our meticulously restored classic VW Campers or Beach Wagons. The VW Camper is the perfect vehicle to explore, you have everything you need in a van that is no bigger than a car, is easy to drive and from your elevated position you can see over the Devon hedges and lanes. Many people have stressful work and there is no better way of leaving it behind than slipping on a pair of boardies and flip flops and having a few days surfing. We can load your Camper with Boards, Wetsuits, Stand Up Paddleboards, Bikes, whatever you need for a surf adventure. We'll meet you at your first night's site, just a mile from Putsborough and where your camper will be set up for a good night's sleep. We'll even chill you a few beers and put on the barbie. We can explain how everything works and talk you through places you could see, beaches to visit and places to eat. 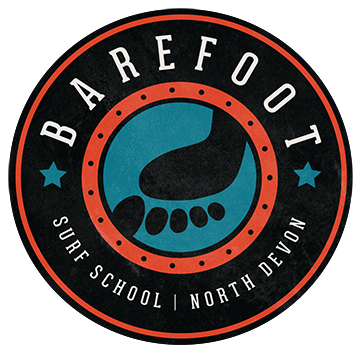 If it's your first time we can give you a surf lesson the next morning at Putsborough ( The area for campervans here is one of the best in the UK so you might just want to stay here and take the odd day trip). With more than 40 years surfing and surf travel experience Nigel really knows what he is talking about, and will be more than happy to give impartial advice on anything from which board to buy to the best place to get a wave. Your enjoyment and successful surf trip is our priority. We currently have 2 VW Campers, a 1972 Bay Window Devon, 'Yeller fella' (he's Sierra Yellow) and 'Porscha' our classy black VW T4 (she started life as a delivery van for Porsche and still has many features like Porsche wheels, steering wheel and other bits). Some people prefer a little more space and have already found their ideal holiday home or B&B (we are always happy to help here too) but want to enjoy a Surfari in something a little different. We can offer, on a daily or weekly self drive basis a beautiful Classic VW Beetle Cabriolet, and coming very soon, a stunning 2 seater Dune Buggy. Truly the most fun on 4 wheels and a crowdstopper wherever they both go. Future plans include further Classic Campers, Beach Buggies and a people carrier with a massive difference! All of our vehicles are prepared to show standard.